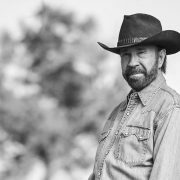 GLOCK has just announced that none other than Chuck Norris will be the company’s new spokesperson, filling a void left vacant by the passing of the legendary R. Lee Ermey last April. Norris says that the principles that he built his life on: “tough, real, consistent and powerful” are all exemplified in the GLOCK brand. […] Read More … The post What GLOCK Does Chuck Norris Carry? All Of Them. 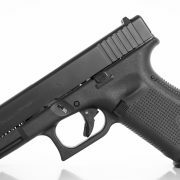 The Legend Becomes Glock’s New Spokesman appeared first on The Firearm Blog. 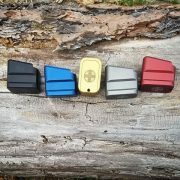 Shield Arms has been producing magazine extensions for some time now and include a variety of color and capacity options. Their main offering looks to be a plus 5/4 (+5 for 9mm/+4 for .40S&W). 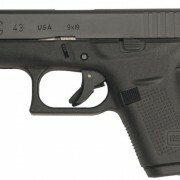 However, they are currently taking pre-orders for their newest additions for the Glock 43X and Glock 48. The 43X/48 has two […] Read More … The post Magazine Extensions For Glock, S&W, CZ And Sig From Shield Arms appeared first on The Firearm Blog. One accessory I have never played with on one of my firearms is a pistol muzzle brake. I had always wondered are they kind of for looks only or do they actually serve a valuable purpose without ever knowing the true answer. 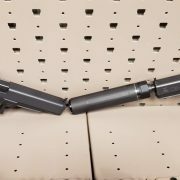 Well, Tyrant Designs recently reached out to TFB seeing as they debuted their NEW Glock T-Comp […] Read More … The post TFB Review: Tyrant Designs T-Comp Glock 9mm Muzzle Brake appeared first on The Firearm Blog. 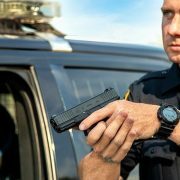 Arkansas’ Springdale PD will purchase around 150 new 9x19mm Glock G43s to equip the department’s officers with backup guns. Springdale’s City Council unanimously approved the purchase and the guns will be purchased using department funds and a federal grant. The City Council approved the idea 8-0, and $35,000 from Springdale PD’s budget and a federal Justice […] Read More … The post Arkansas’ Springdale PD to Buy Glock 43 as Back Up Pistols appeared first on The Firearm Blog. It is no secret that we have our fair share of GLOCK pistol fans here at TFB. Sure, we love a solid AR15, a sleek pistol caliber carbine or a classic scattergun just as much as the next shooter. But, without naming any names, many of the resident TFB staff seek the comfort of Austrian polymer […] Read More … The post GLOCK GIVEAWAY! 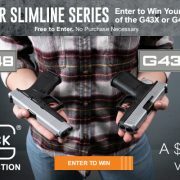 Win A GLOCK G43X Or A GLOCK G48 appeared first on The Firearm Blog. You just bought a Glock, and let’s face it, those plastic factory Glock sights are flat out embarrassing. Plastic sights on a metal slide just don’t make a whole lot of sense, and they are definitely nothing to write home about. 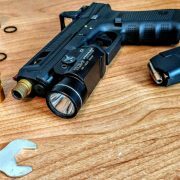 When it comes time to upgrade those sights there are two things you may […] Read More … The post TFB REVIEW: KNS SwitchSight Glock Sights appeared first on The Firearm Blog. Good afternoon shooters and welcome back to TFB’s Concealed Carry Corner where we discuss anything and everything related to the topic of packing a firearm for personal protection. 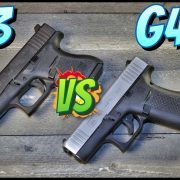 Today we are going to revisit a topic we touched on more than two years ago: a by the numbers look at two of the most popular […] Read More … The post CONCEALED CARRY CORNER: GLOCK G43 vs G43X By The Numbers appeared first on The Firearm Blog. As a reminder, the elusive GLOCK G46 pistol with its rotating barrel and takedown slide-plate is only available to a small fraction of our readers. Specifically, the men and women who defend and protect the German State of Saxony–Anhalt. The rest of us, as the story goes, are in a persistent patience pattern, because GLOCK has […] Read More … The post True Austrian Love: First GLOCK G46 Glamour Shots appeared first on The Firearm Blog. 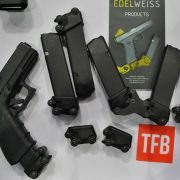 Edelweiss Industries, not to be confused with the Swiss Edelweiss Arms, is truly an unusual find in a defense-oriented event such as IDEX. 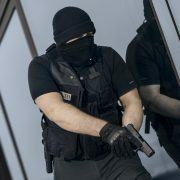 The small Austrian company, born out of the shooting range Edelweiss Adventure, offers an interesting array of Glock accessories. 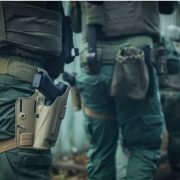 Edelweiss Magazine Base Pad A Glock magazine base pad extending the capacity and […] Read More … The post [IDEX 2019] Edelweiss Industries from Austria appeared first on The Firearm Blog. There were a lot of interesting products introduced at SHOT this year, but there are also a few products that I think are long overdue but still didn’t make an appearance. So here is a list of five products that I wish had been introduced this year. 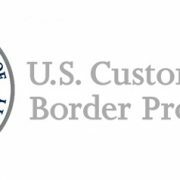 And one product that was introduced but shouldn’t […] Read More … The post Top 5 Products That ~Should~ Have Been At SHOT 2019 But Weren’t appeared first on The Firearm Blog.